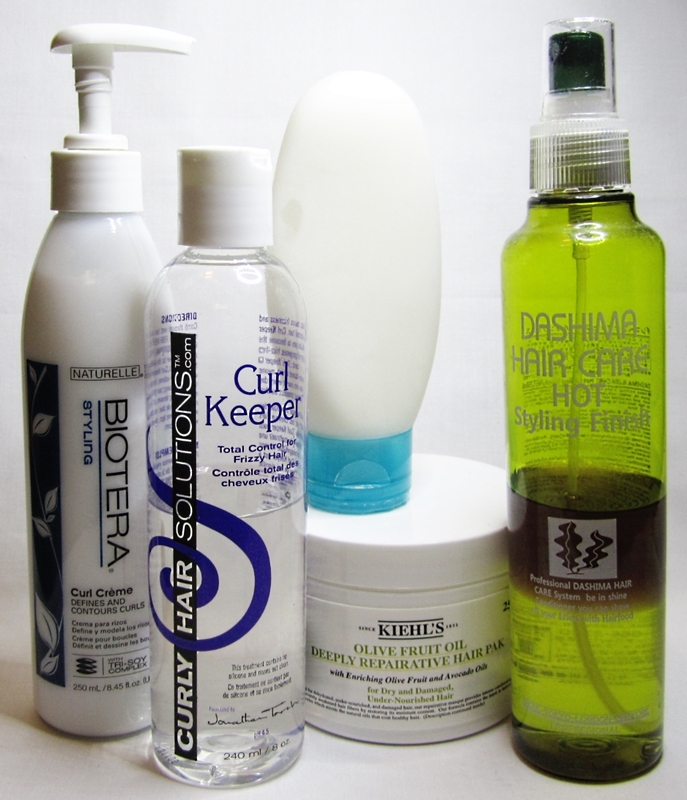 This is the companion post to my Winter scalp rescue topic – that entry was getting long so I thought it would be good to give your eyes a break by splitting it into 2 posts. 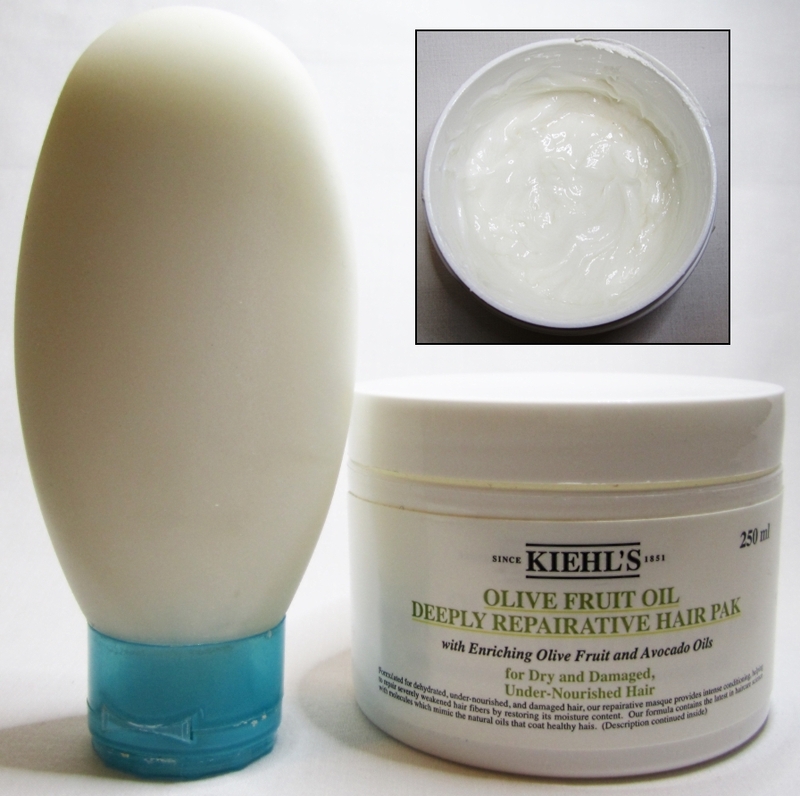 ♥ I’ve been a big fan of this for years (hence why I sought out Kiehl’s again for my scalp issue but was left disappointed). This mask however, is a lifesaver for dry hair ends. I was hesitant to put a thick cream on my hair but this does not weigh it down whatsoever – in fact, it makes my hair bouncy and silky. After shampooing, I apply approx 1 tbsp of this to just the ends of my hair, working from the ear level down to the tip. I leave it on for about 5 minutes and then rinse off – just be aware that it can make the shower floor slippery (I almost wiped out a couple of times!) The product has a soft herbal scent that isn’t offensive to me. It is pricey but a jar lasts me more than a year. I transfer this from the jar into the squeeze tube for ease of use in the shower. ♥ This is an unusual and unique product in my arsenal – it is a watery gel that doesn’t feel silicone-y or sticky (the ingredient list is very short: mostly water, glycerin, and polymers), with a light soapy scent. In the mornings I apply about 1 tbsp of the product to towel dried hair as a primer of sorts – it helps my waves to not break apart (thus causing frizz) and then I apply my curl cream or spray. I let my hair air dry for about 15 minutes while I finish getting ready, then I blow dry my hair with a diffuser. 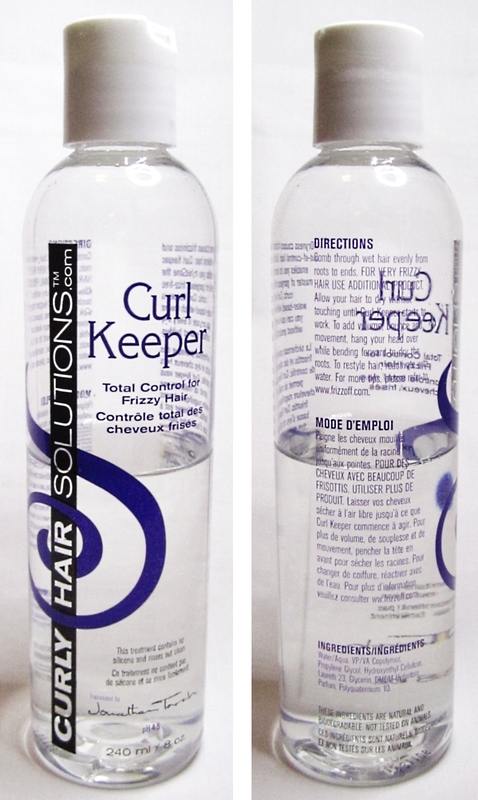 What’s neat about this product is that it can be reactivated by wetting the hair later in the day or even the next day. I also like that this is a Canadian product – I like to support homegrown businesses where possible! ♥ This product Smells. So. Good. I can’t describe the smell specifically except to say it’s like an expensive salon. The product moisturizes my hair without weighing it down, and also helps to keep the definition in my waves without making it crunchy. The only issue I have with this is that it gets used up quite quickly – I need 2-3 pumps of this to coat through my hair. I believe this is a Sally Beauty Supply (SBS) private label brand so it’s only available there. 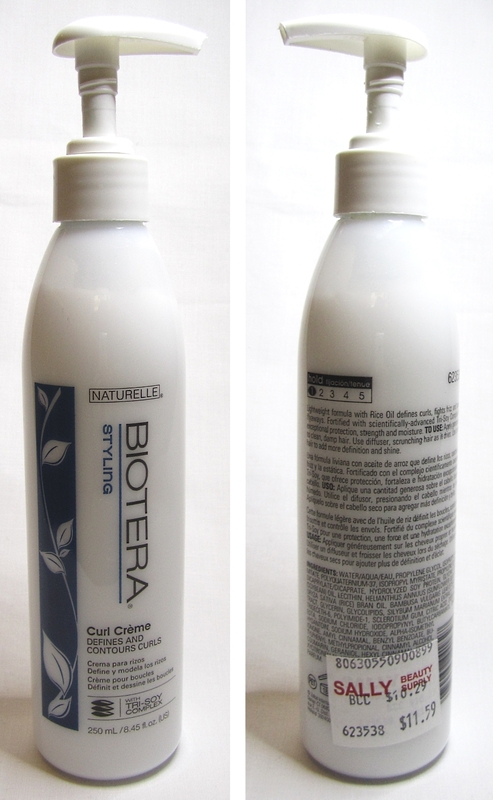 I’ve tried other curl creams from SBS including the cult favourite Beyond The Zone Noodle Head Curling Cream (made my hair crunchy) and Ion Curl Styling Cream (which was quite good in its own right, but the smell of the Biotera got me hooked). ♥ I ain’t gonna lie, I mainly bought this because it smells like grape Bubblicious gum. 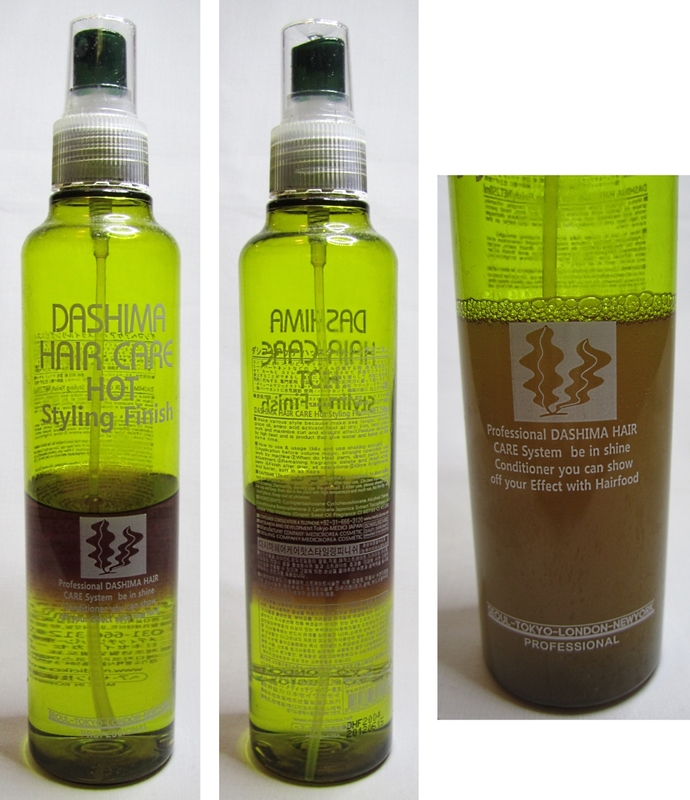 And, it also happens to be a nice hair oil which adds shine and doesn’t weigh down my hair. I discovered this from the Korean hair salon that I go to (Sora Salon) and purchased it from them. The oil has 2 layers that needs to be shaken up prior to use – I spray this onto the balms of my hand and rub into my hair ends. I also enjoy the Engrish text on the bottle. Lastly, something else I thought I should mention. When my scalp issues started a couple of years ago, I also started to notice my hair falling out more than normal. So I started to look into supplements to promote hair regrowth. 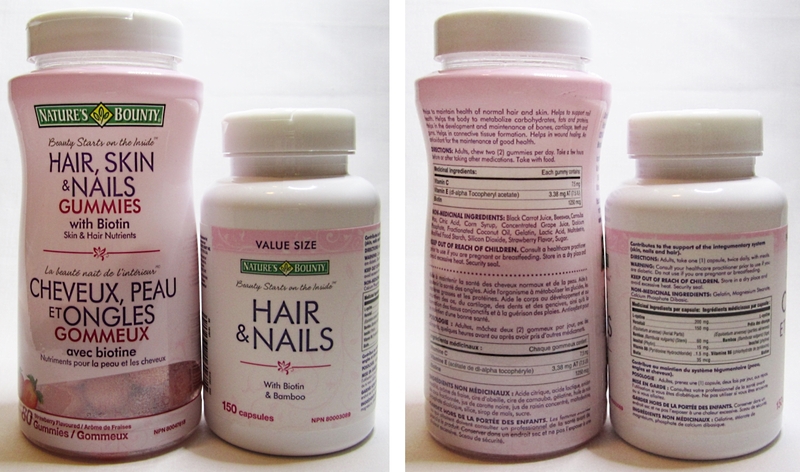 I came across Nature’s Bounty Hair & Nail supplements at the drugstore – they had good reviews online and the ingredients look decent. ♥ This is a newer offering in their hair, skin & nails line and it’s delicious! I sometimes forget to take the horse pill version, but who can resist gummy candy? This supplement has a different concoction of active ingredients: vitamin C, vitamin E, and biotin (this time a whopping 1250mcg). I’ve been taking this for about a month now and I haven’t seen a difference in hair growth between this and the capsule version. I’ll give it another month before I make a judgement call – per pill this is more expensive than the other version, but maybe getting to eat strawberry flavoured gummies daily (for my health!) is a small premium to pay? Please note that I’m not advocating taking a supplement – it’s just worth mentioning that I think this has helped me with hair growth since I’ve been taking it for the past couple of years. Be sure to research what is right for you. 2) Must smell (taste) good! < Previous Happy Chinese New Year! Yes! I wish more people knew about it. I know it’s seems pricey but it lasts SO long, it IS worth every penny!